The third cover from Tomislav Dolar of Croatia. 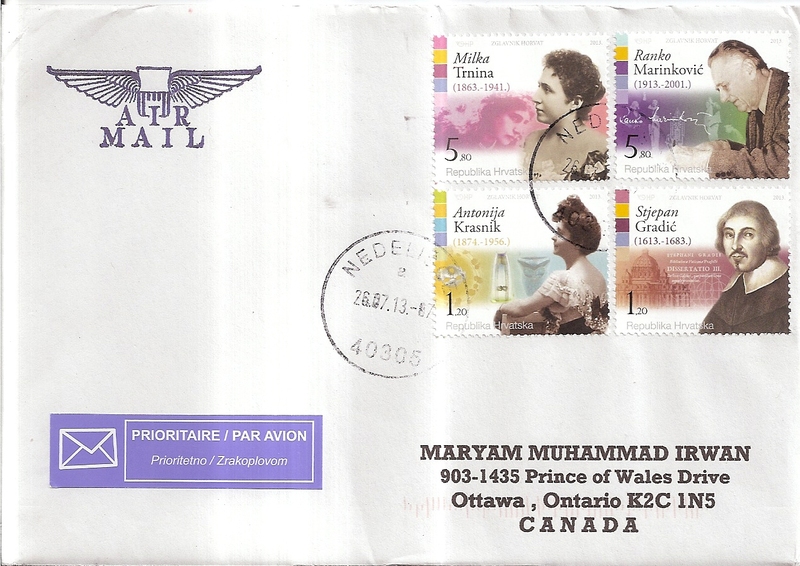 On this cover, Tommy affixed four stamps featuring famous people of Croatia: Milka Trnina, Ranko Marinković, Antonija Krasnik, and Stjepan Gradić. 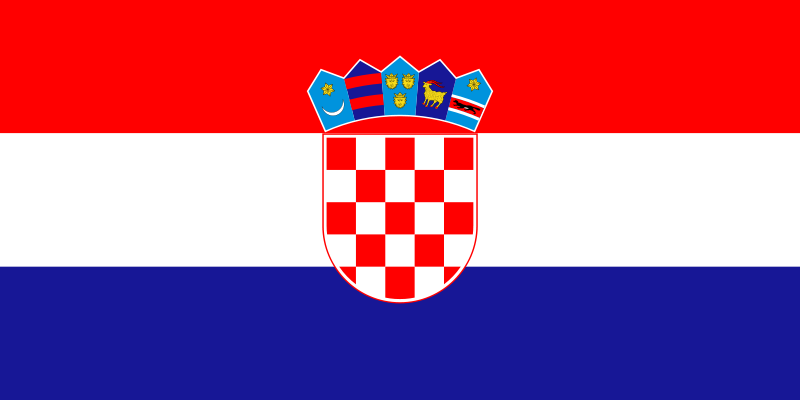 The postmark date is 26 July 2013 and the location is Nedelišće. Thanks a lot Tommy for the three covers!